Grading is something that is commonly overlooked. Proper grading is the key to having a good paving job. 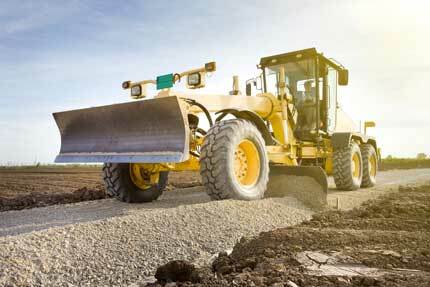 We can install rock and grade for concrete, asphalt, or simply fine-tune your driveway or road. With our state-of-the-art laser controlled equipment, we are able to hold the correct elevation within .01′ to .02′. Adequate rock base and proper fine grading will allow for a good paving job. The paving job is only as good as its base. We are equipped to solve any drainage problem. At no additional charge, an estimator can give you suggestions on the most effective and economical solution to the drainage problem. With our technology and skilled staff, we are up for the challenge!